to induce therapeutic healing for mind and body. Holistic therapy aims to help you restore balance, thus allowing the body to heal itself naturally. 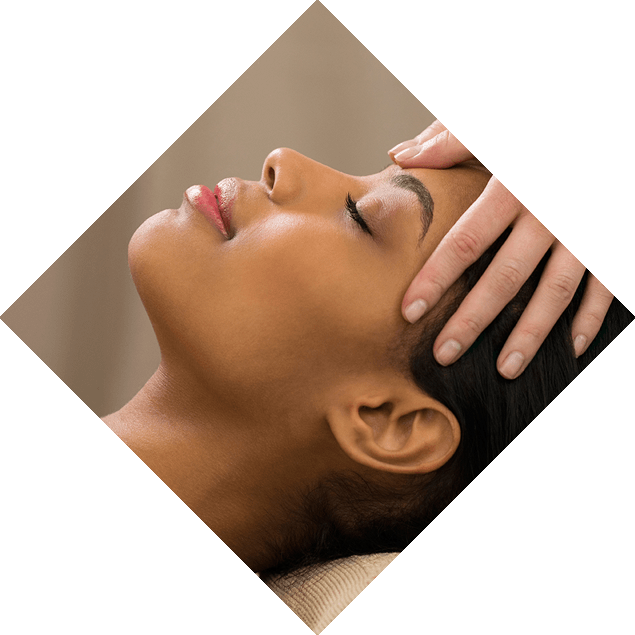 Our trained practitioners will guide you through the incredible treatments that will ensure you are not only relaxed and calm but rejuvinated and reinvigorated. We encourage you to discuss your requirements on the day with our professional team, to ensure you get the most from your treatments at Beauty Temple. An Indian Head Massage helps to melt away tension that we store in our upper body, allowing us to clear our minds, calm our worries and release pressure. The massage can be both invigorating and also relaxing, depending on what your body needs. A pleasant and non invasive treatment of the ears. Used to treat a variety of conditions, the ear candles induce a pleasant feeling of warmth and balance of pressure in the ears, forehead and sinuses. It is soothing and helpful for earache and headache, ear noise, stress and nervousness. A gentle therapeutic foot treatment incorporating pressure points that mirror the body's key systems. This is an ancient healing art bringing soothing relief in modern times.